December is the month of joy, happy family gatherings, too much egg nog and grandma's hand-knitted sweaters. It is also the month of endless bargains from plug-in manufacturers, and Sonic Charge will be further proof of that. 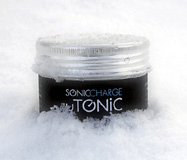 In fact we are lowering the price of our delicious Tin Tonic from $129 to $89 (shipping included within Europe, $10 for the rest of the world), and the downloadable version is yours for only $69 during the entire month.